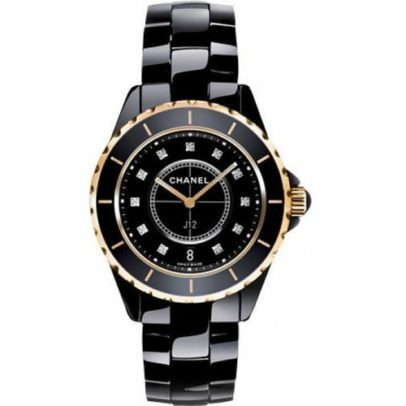 Black lacquered dial with 11 applied diamond hour markers. Rose Gold hands with luminescent hight-lights. Date window located at 6 o'clock.